Now that Black Friday and Cyber Monday are behind us, on Nov. 27, 2018, we welcome another movement related to your wallet – Giving Tuesday. Helping others is important this time of year, but it can actually help you, too! “When I see the smile on someone’s face after I’ve given them something – when I know that I’ve made someone’s life better -- it makes my life better,” said Reggie Huff – the operations manager at the Capuchin Soup Kitchen in Detroit. The nonprofit helps thousands of Detroiters every year with food, clothing, and other needs. 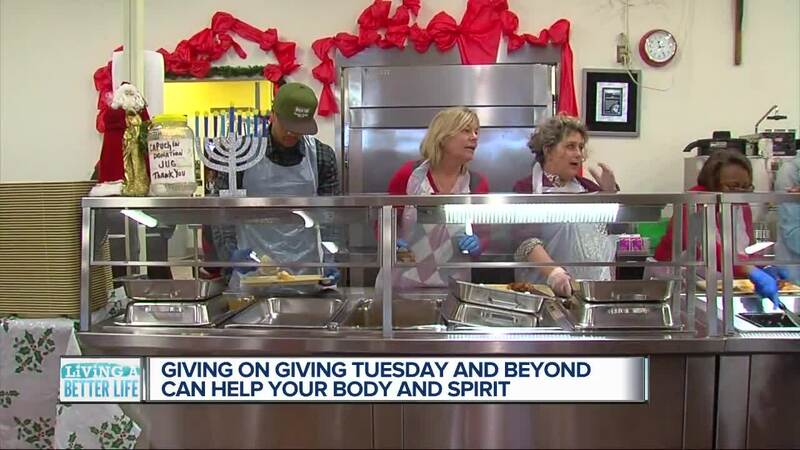 Huff is hoping people will be generous on Giving Tuesday as well as the rest of the year. On a stroll through the Cadillac Square holiday shops, I ran across a group of young people in their teens and early 20s. I decided to poll them. They all raised their hand when I asked them if they knew about Black Friday. They’d heard about Cyber Monday, too. But they gave puzzled looks when I asked them if they’d heard of Giving Tuesday. WHAT IS GIVING TUESDAY? AND HOW DOES IT HELP YOU? 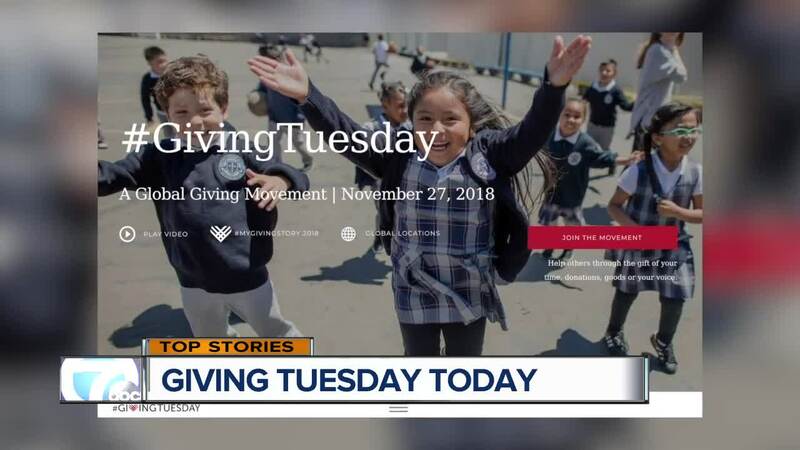 Well, to be fair, Giving Tuesday is relatively new – six years old actually. The United Nations Foundation and the 92-nd Street Y started it in 2012 as a response to all the consumerism leading up to Christmas and the holidays. Organizers wanted a day to focus on charitable giving. And – here’s a bonus -- giving does lift the spirit and raise awareness. Toni Sova – a Detroit shop owner – said it’s important to give back. “It’s a warming feeling [when you give], but it makes you understand. I feel like you really, really understand that people are in need,” she explained. “It just makes me happy seeing, putting a smile on someone’s face,” said Detroit tourist Michael Ruiz of New York. Jacob Cullen -- a former Peace Corps volunteer from Detroit – agreed that helping others feeds the soul. “Anything that you can do to help somebody out is going to come 10-fold back onto your own spirit. So, if you can do that every day, and just try care for others, you’re going to be a very, very rich person in many ways,” Cullen explained. GIVING IS HEALTHY FOR YOU, TOO! A review of 40 studies published in BMC Public Health reported by Time Magazine showed people who volunteer to help others or support charities live longer, are less stressed and have a greater sense of life satisfaction and well-being. And there are many ways you can give! Last year alone, Giving Tuesday raised a total of $274-million for charities around the world! And WholeWhale.com estimates this year’s total will reach a record $331.5-million. Again, if giving money is not an option for you, you can always give your time or talents by volunteering. Bottom line, find what you’re passionate about and then help when and where you’re able – whether it’s on Giving Tuesday or any day of the year. Alicia Smith co-anchors 7 Action News This Morning on WXYZ-TV in Detroit. This story is part of her weekly Living A Better Life Series. If you’d like to submit a story idea for the series, please email Alicia.Smith@wxyz.com with “Living A Better Life” in the subject line.